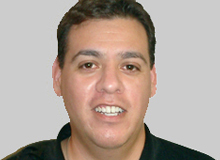 Ed Mata has been Bechtel Physical Therapy’s office manager for more than a decade. He has truly paid his dues, working his way up from an inexperienced physical therapy aide (in 1992) to the man who hires, trains and manages BPT’s front and back office staffs. If your concern is anything other than your personal healthcare or insurance and account issues, Ed is the man you need to contact.